I got a book about all the robot masters, and all their personalities; Capcom actually did a better job when compared to the Koopalings' unknown characteristics! I didn't do it as accurately as yours, though. I fail at 8-bit sprites. It's ok dude. Your mettaur looks cool too. Btw I try to be accurate with all of my MM sprites. I use sprite resources etc. Hey Sonic, I finished my Zero! I might do another with the running animation but i gotta work up the willl power. That's Zero from MMX. I think Sonic's drawing Zero from MMZ. Cool! I'm still working on Zero. I think It might be from MMZ like mrperson said. Actually no I don't think it is from MMZ. I think it might be from MMX but with a different look. Mega man, A.K.A the blue bomber. He is a blue robot that has a powerful arm cannon called the mega buster with an enemy named Dr. Wily who builds robot masters who Mega Man to fight and absorb their powers. He goes to each Wily castle to fight Dr. Wily and save the world. And Dr. Wily's other henchmen are my favorite characters: the Mettaurs. They hide inside these invincible helmets, and they can only be hurt when they pop out to attack. They come in all kinds of forms: Tanks, Cannons, Park mascots, and they even have commanders of their own kind. One of the robot masters is, unfortunately, a futuristic, yet also brainwashed, version of the blue bomber known as Quint. 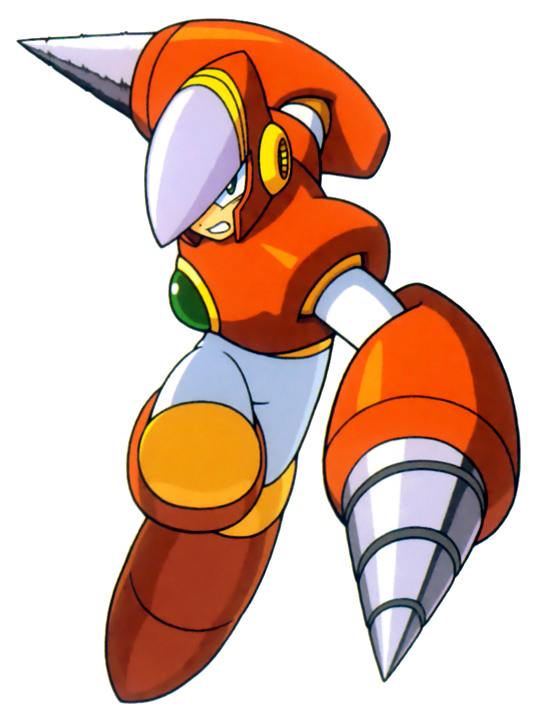 Protoman is Mega Man's older brother who, on Mega Man's third adventure began to test out his younger brothers powers. He was the proto type of what Mega Man was meant to be, he has a weaker body and needs a shield to project his from taking massive damage. He also managed to save Mega Man from death many times. People think modern games are hard. Go beat Halo and MW3 and then try to beat some of the final bosses in the Mega Man games. They'll make you wanna take the game out of the system and throw it against the wall. Which MMX game? MMX1? MMX8? Speaking of Mega Man X8, the Mets on there look like someone you'd see on Kirby 64, or Mario 64. They just do. Not just the X series, I mean just about all Mega Man games. But the Sigma I was talking about was from X1.